HyperX delivers yet more bang for the buck with its budget headset. HyperX first made a name for itself back in 2014 with the release of its Cloud headset. Featuring clean audio and an incredible level of comfort for a street price of $80, we’ve been recommending the Cloud ever since. It’s an excellent entry-level headset, with superb craftsmanship that you wouldn’t expect given its low price. But a new contender has appeared to vie for its position as the top affordable headset—and the surprising part is that this one’s also made by HyperX. Of course, that price tag does mean some cut corners. Build quality is where you’ll feel it most: The chassis is constructed almost entirely from cheap-feeling plastic, though a strip of metal still runs through the headband. 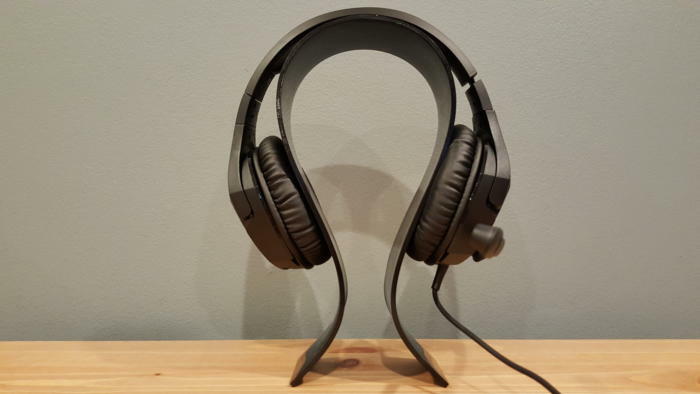 Overall, this headset feels durable enough to survive normal use—e.g., tossed into a backpack, dropped onto a desk, and all the usual battle scars headsets sustain—but you won’t pick up the Cloud Stinger and mistake it for anything more than a budget headset. HyperX does a good job emulating the look of a higher-end device, though. In jet black with the trademark red logo on each earcup, the Cloud Stinger doesn’t look much different than its pricier siblings. Nor does it sacrifice HyperX’s reputation for comfort. 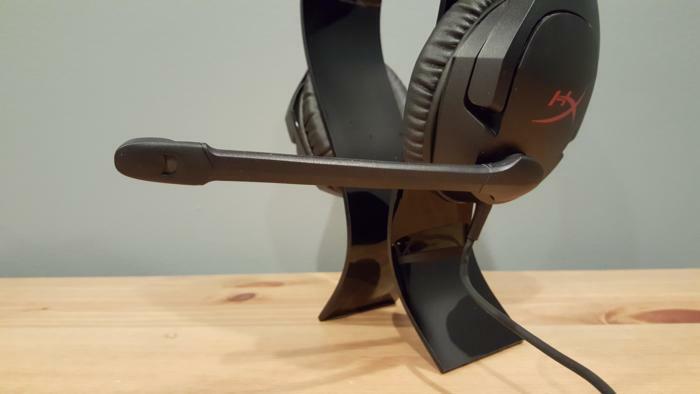 Most budget headsets sit on the head with all the grace of a falling anvil, but not the Cloud Stinger. It can be a bit tight on the jaw, especially straight out of the box, but tends to loosen up after a few days of use and eventually hits that “I forgot it was on my head” stage. Both the headband and earcups are padded generously, and the faux-leather covering breathes a surprising amount. Only rarely did I find myself with the dreaded Sweaty Ears Syndrome. The microphone controls also get an upgrade, ditching the finicky in-line controls for a simple flip-to-mute. Microphone’s up? You’re muted. Down, and you’re ready to talk. It’s the same system you’ll find on the $300 Astro A50, though the downside is that the Cloud Stinger’s microphone is firmly attached to the left side. 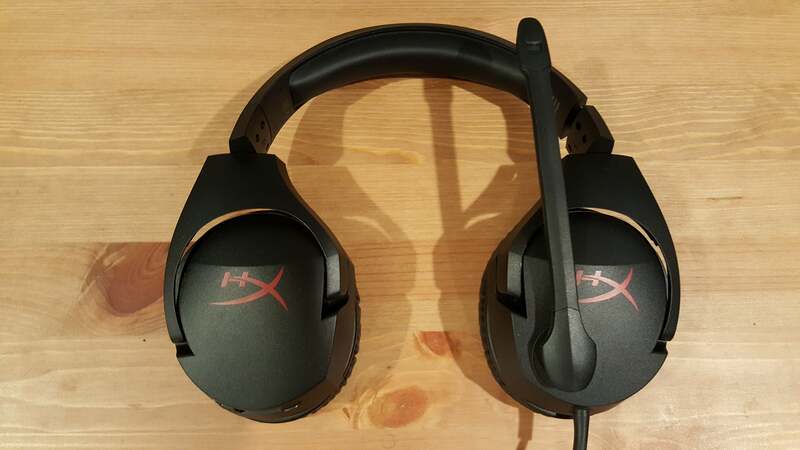 Previous HyperX headsets all came with detachable microphones and could potentially double as flashy black-and-red headphones if necessary, but this a gaming headset. Of course, the most important question is how much sound can you get for $50? The Cloud Stinger ain’t half bad. Sure, it’s a budget headset. Don’t expect to get the same audio from the Cloud Stinger as Logitech’s G933, the aforementioned A50, or a high-end pair of headphones. The Cloud Stinger does a decent job, though. Most of its punch comes from the midrange, so maybe 80 percent of any given game (or film or music) comes through sounding clear and clean. And for a headset of this size, you get a surprising amount of stereo width. With music playing, you can easily pinpoint where each instrument resides in the mix—something you can’t do with most budget headsets. You get a similar positive experience in games when it comes to pinpointing enemies or the direction of incoming gunshots. It’s that 20 percent that might bother more discerning listeners. While most gaming headsets lean on the low end to cover up imperfections, the Cloud Stinger doesn’t pack much bass at all. At quieter volumes the mix sounds okay, like a flat-response set of studio headphones, but at higher volumes there’s just no oomph to anything. Explosions sound somewhat neutered, as does the rumble of a passing tank, a growling monster, or what have you. The same is true of the extreme treble range—maybe that top 10 percent. Cymbal crashes get drowned out, gunshots lose some of their sharp crack, and you miss some of the subtler textures. If you test the Cloud Stinger and think it feels a bit lifeless compared to other headsets/headphones, the lack of bass and treble is probably why. However, these are audiophile complaints about a $50 headset. If you’re only willing to spend $50 on a headset, the Cloud Stinger is a damn fine option. It’s better than any similarly priced competitor I’ve tested, and compares favorably to $50 headphones—with a microphone thrown in, to boot. Speaking of the microphone, it’s serviceable and not much more. Voices have a distinctly nasal quality and the mic has a tendency to pick up background noises. The Cloud Stinger also plugs straight into a 3.5mm jack—either a single, as found on laptops, or separate headphones/mic ports with the accompanying cable extension and splitter. Those plugging straight into their PC’s mic jack might get additional hum or noise in the background, depending on the quality of the motherboard’s onboard sound. You’ve probably noticed the same refrain throughout this review: “The Cloud Stinger is good, for a $50 headset.” And that’s true. These cans won’t stand up next to competitors two or three times the price, either in sound or in comfort. Hell, the Stinger doesn’t even stand up to the original HyperX Cloud—not quite, anyway. I give the original Cloud a slight edge in comfort and a larger edge in sound quality. 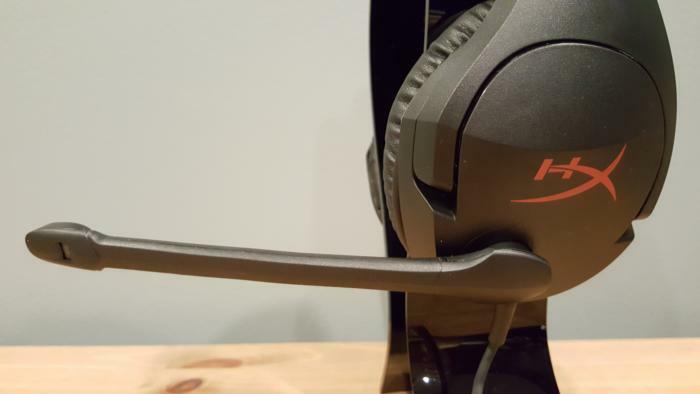 The Cloud Stinger is a remarkable headset though, with HyperX once again working miracles on the lower end of the market. 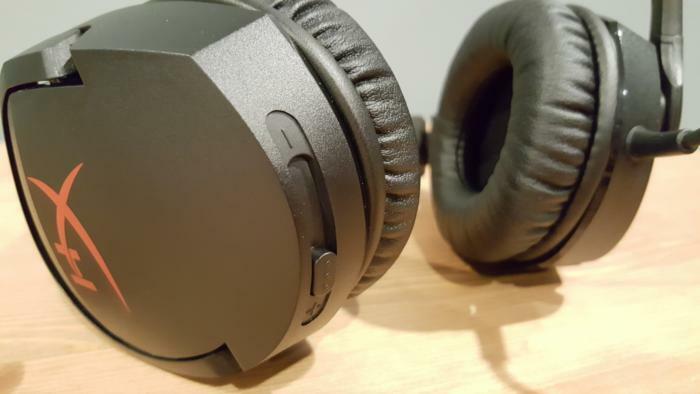 Solid sound, serious comfort, and an attractive design make it a great option for anyone taking their first foray into gaming headsets, or anyone who just needs “good enough” quality without the accompanying wallet-shock. The Cloud Stinger provides solid sound, serious comfort, and an attractive design for anyone who just needs a “good enough” headset without any wallet-shock.